If only the wrinkles and crevices of Cosimo DiBrizzi’s face could tell his story. They would fill your ears with music about a man who knew how to live life and was great at it. He touched everyone he came across. Whether it was with his brilliant smile, his kind actions, his generosity, his humility or his extravagance. Cosimo was a chameleon because he experienced everything in the spectrum of life, therefore was able to adapt to any situation. He was poor, hence his humility. He was well off, hence his extravagance and generosity. He was an entrepreneur, yet his family always took priority. He was a well-balanced man. If you asked any of his hundreds of employees, they would tell you that Cosimo was a man they strived to emulate and viewed as a role model. Cosimo accomplished what many come to America in hopes of achieving…. the American Dream. He was modern in his thinking, yet old fashioned in his values. He was one of a dieing breed where a handshake spoke volumes and no contract could compare. He defined integrity and loyalty. His word was gospel. He was funny, a joker, yet, very serious about every task that passed through his hands. He was secure in himself and his abilities. That allowed him the confidence and imagination to take risks and make dreams or ideas into concrete and tangible things. He was a leader through his actions and he allowed others to spread their wings and take flight by having faith and being open minded to new ideas. The wonder of it all was that somehow Cosimo knew how to balance all of this. He was in touch with all of these aspects of his complicated and exciting life, yet he was in complete harmony. While managing the stress that comes with being a successful businessman, he gracefully accomplished his goals without ever breaking a sweat. Perhaps that was because he truly loved what he was doing. He passionately lived his life to the fullest. These qualities are what his family and colleagues admired most and what inspires the new generation to continue in his memory. 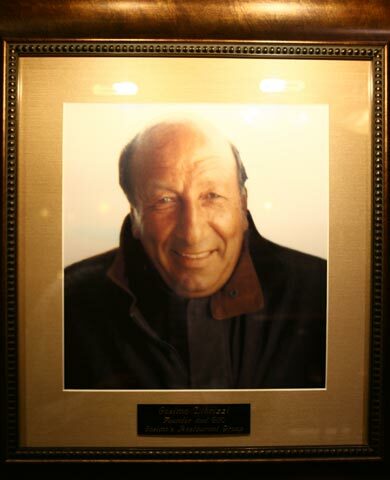 The new generation is committed to continue making Cosimo’s legacy a reality.